A close-up view of the house on the hill in Courland. 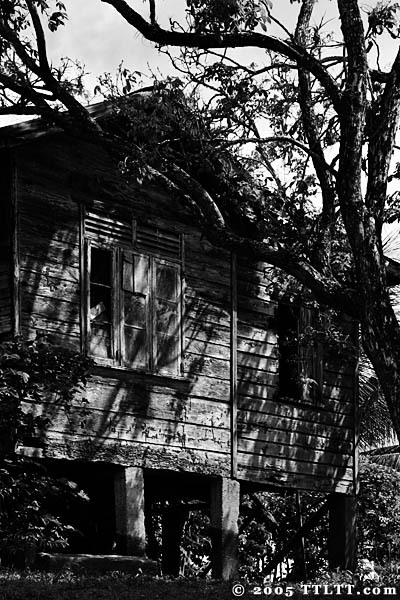 The concrete stilts are another common characteristic of older Caribbean, and tropical, architecture. This allows breeze to pass below the house, helping to keep the interior cool(er) — a must in year-round 30°C weather — and also the elevation makes it a bit more difficult for creepy crawly critters (that's the scientific collective term for snakes, scorpions, spiders, etc) to get in. Though mind you, they do still find ways.